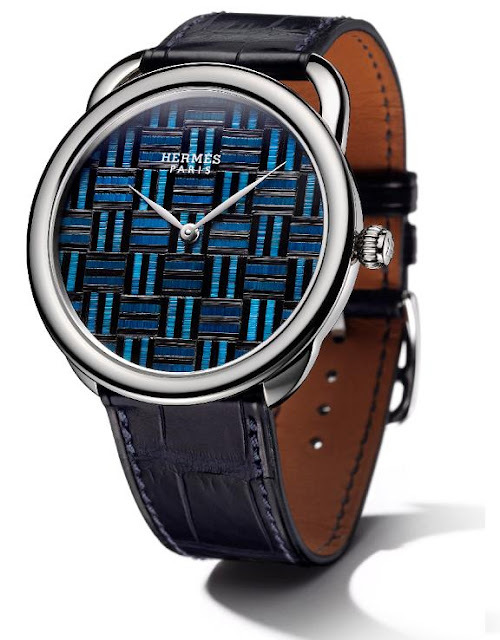 Hermès has just unveiled two new and unique pieces at SIHH 2012, the Hermès Arceau Marqueterie de Paille. If points were awarded for degree of difficulty in watchmaking these two new watches from Hermès could be on course for the gold medal. Hermès has traditionally shown its prowess in the designing of fabrics, but this time they have introduced the art into haute horology with the Arceau Marqueterie de Paille watches. The Parisian luxury goods brand launched its first movement in 2008. At the Geneva Watchmaking Grand Prix in November Hermès scooped the prize for 'Best Men’s Watch' for the Hermès Arceau Temps Suspendu. The dials are composed of rye straw, grown in just one location in France. The straw is harvested and coloured before arriving at the workbench of supremely talented artisans. The miniature pattern is then assembled on paper before being applied to the 41mm watch. 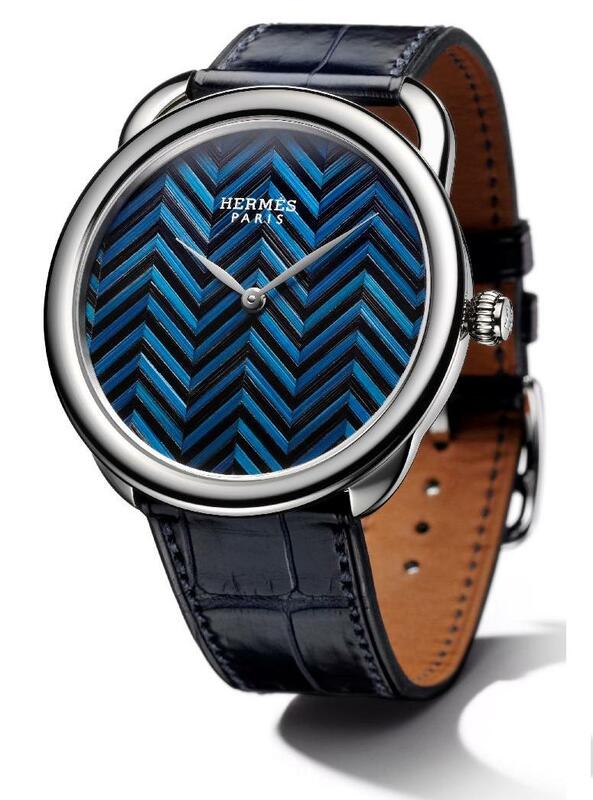 The case features the hallmark Hermès stirrup style lugs. Split open with a thin blade and then manually flattened with a bone tool, the wisps are then cut up into various lengths. This calls for accurate gestures and considerable physical strength. Playing with the colours and the directions of the various wisps, the artisan assembles his motifs on a sheet of graph paper. Glued in much the same way as a leather book binding, the straw marquetry motif is then meticulously assembled onto the watch dial. The beauty of this technique is the uniqueness it creates for each dial. A showcase technique such as this deserves centre stage, so gone are the hallmark Hermès numerals normally found on an Arceau dial. The watch is powered by the self-winding Calibre H1928 by the Manufacture Vaucher exclusively for Hermès who partly owns the manufacture. The movement has a 55-hour power reserve. A matt indigo blue alligator strap perfectly matches the colours of the straw dial.